The 2018 Golden Globes might be the first time in the award show’s storied history that people have payed attention to the Hollywood Foreign Press Association’s normally laughable telecast. For years, the HFPA have sat comfortably next to the Academy Awards, revelling in the fact that at the end of the day, their award show will always play second fiddle. Still, it’s always off-putting when someone says they prefer the Golden Globes to the Oscars. It’s like when someone says they would rather scarf down a nine-inch Quizno’s sandwich instead of a nice, saucy, footlong meatball marinara from Subway. Or, when your one weird cousin demands Pizza 73 at a family gathering, when all the other relatively sane people agreed upon Panago (which is objectively better). Sure, it’s great that phenomenal television shows like Big Little Lies and The Handmaid’s Tale are being recognized, but the January 7 broadcast of the Golden Globes felt like a rehash of last year’s Emmy Awards. And yes, it is wonderful that some performers and directors that would never see an Oscar nomination being nominated for a major award, but Denzel Washington had no business being nominated for his apathetic performance in Roman J. Israel, Esq. and The Boss Baby being nominated for best animated feature is frankly sickening. But, in the current political climate, Hollywood is seemingly under the most scrutiny in history and deservedly so. In the wake of the #MeToo movement and the Time’s Up movement, the 75th Golden Globes became a must watch event for so many. Although that event was fairly predictable in terms of which stars nabbed a new golden mantlepiece, the HFPA’s show might have become the ‘it’ show for celebrities to push certain ideologies. So, if you missed the most recent edition of the Golden Globes, here are three things that will keep you in the know. Getting the most obvious moment of the show out of the way first, it’s impossible to even mention the Golden Globes without mentioning television mogul Oprah Winfrey’s impassioned speech. Touching on subjects that transcended typical acceptance speeches, Winfrey received the Cecil B. DeMille award for outstanding lifetime achievement and proceeded to steal the show. The power and command that Oprah displayed was awe-inspiring, as she essentially changed the Golden Globes into some sort of political rally. After Oprah left the stage, awards didn’t matter anymore. 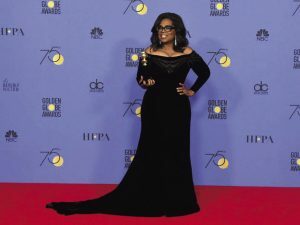 Some have coined it as Oprah’s presidential speech, as droves of people have been clamouring for Winfrey to run for the presidency in 2020 after her fiery performance at the podium. Funnily enough, Meryl Streep found herself in almost the exact same position one year ago. At the 2017 Golden Globes, Streep was given the Cecil B. DeMille award as well, and too delivered a fierce, politically charged speech that left fans excited for her hypothetical run for the United States presidency. Donald Trump, in typical Donald Trump fashion, proceeded to fire off a plethora of nonsensical tweets that twisted the situation into how Hillary Clinton is a dishonest crook. He called Streep one of the most over-rated actresses in Hollywood and faced the situation in some degree. The most interesting part about Winfrey’s speech, is that Trump has made no comment whatsoever and is even on-record saying that his initial choice for a vice-president would have been Winfrey. Is he afraid of Oprah? Will Harpo productions take over the White House? Will Oprah even run for the presidency, even though she has been adamant she does not want to get involved with politics? Let the theories begin. Martin McDonagh is a brilliant director and perhaps an even more talented writer. The Irish playwright turned screenwriter has struck gold with his newest motion picture, Three Billboards Outside Ebbing, Missouri. After being nominated for six Golden Globes and winning four, Three Billboards was the clear winner for the Hollywood Foreign Press Association this year. Still, after an incredibly start to the awards season, where it has nabbed prestigious prizes at The Critic’s Choice Awards and the Australian Academy of Cinema and Television Arts Awards, the film sits in an odd place heading into the grandaddy of them all, the Academy Awards. Although it wasn’t surprising that Three Billboards managed to pick up Best Motion Picture at the Globes, arguably the most prestigious award at the show, it’s still incredibly difficult to call it the Oscar frontrunner. The black-comedy, that boasts an incredible ensemble cast, some of the sharpest screenwriting in recent memory and some fantastic performances from Frances McDormand, Sam Rockwell and Woody Harrelson, would be an odd choice for Best Picture at the Academy Awards. Yes, the movie has received almost universal acclaim from both critics and audiences alike, but the fact that it is a dark comedy hurts its chances. The Academy has been wary to award top honours to anything other than serious, dramatic films in recent years, as the closest thing to a black comedy that has one best picture at the Oscars would be 2011’s The Artist, which was more of a dramatic rom-com than anything. This doesn’t bode well for Three Billboards. Martin McDonagh’s Three Billboards Outside Ebbing, Missouri has been compared to some of the Coen Brother’s best black-comedies like Fargo and The Big Lebowski. All three films share snappy writing, incredible performances and memorable characters, yet they have had trouble at the only awards show that truly matters. Fargo, which was definitely the best film at the 69th Academy Awards, failed to win Best Picture that year. Instead, the honour went to the largely forgettable war-drama The English Patient. The Big Lebowski wasn’t even nominated two years later. Three Billboards could potentially break the trend, but if history is any indication, the film won’t be able to grab the most prestigious award in film. The Golden Globes is fun because of how it splits dramas and comedies into two separate categories. It allows phenomenal actors like Daniel Kaluuya to be nominated for his underrated performance in Get Out, Jordan Peele’s directorial debut that should most definitely be nominated for Best Picture come time for the Oscars. It allows both Timothée Chalamet and Armie Hammer to be nominated for their electrifying performances in Call Me By Your Name, something that might be difficult for the Academy to justify. It even allows blockbuster hits like Dunkirk to get a fair shake at some gold, but unfortunately all of these incredible movies were not able to win an award. First, it’s an absolute joke that Get Out was put into the “Best Comedy or Musical” category at the Golden Globes. The film has some hilarious moments of levity, but is further from a comedy than Three Billboards is. Maybe the HFPA were trying to recognize film in some way, by shoehorning it into a category that it clearly doesn’t fit it, but it still missed the mark. Jordan Peele wasn’t recognized for his directorial efforts either, which is laughable. Does Ridley Scott really need to be nominated for All the Money in the World? Do we really need to let Steven Spielberg know that he did a great job on The Post? Even though it is of paramount importance to nominate the best in each category regardless of their track record, it is an absolute mistake to not recognize Peele for his work on Get Out. It might be a long-shot, but hopefully the Academy gives some much deserved nominations to the film. t’s still surprising that a film that completely relies on its acting, like Call Me By Your Name, to be shut out. Finally, Dunkirk was snubbed as well. Although all three of the categories it was nominated in, Best Drama, Best Director and Best Original Score, went to deserving winners, it is still a shame that the Golden Globes do not have a category that recognizes extraordinary achievement in cinematography. Hoyte van Hoytema, the genius who worked as director of photography on the epic war film deserves all the praise in the world for his masterful work on the film. Now you know almost everything you need to know about the 2018 edition of the Golden Globes. 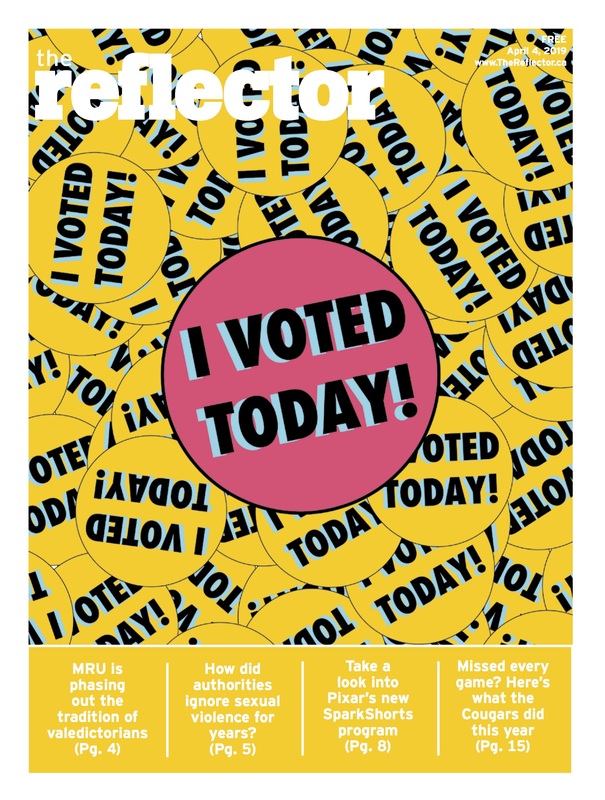 Will it be largely inconsequential in the future? Of course! But, at least we still have the Oscars to look forward to.